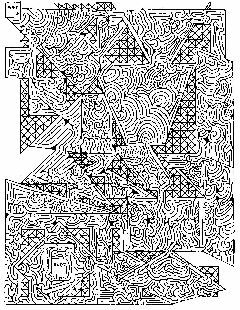 This maze was created on old onion-skin graph paper that I inherited from my mom. She had a lot of it stored in an old notebook left over from her college days, and she gave it to me back in the early 1980s. It wasn't just squares, there were diagonal lines, versions with curves and spirals, and more. It was great fun for doodling and creating intricate designs. In this maze, sections were blocked off on the graph paper and mazes were created inside. Some areas were filled in with geometric patterns and lines. I rather like the result. Click on the picture for the full size (753kB) version. Hey, I really like your mazes. Interestingly, your style of drawing them and noted background in doing so is strikingly similar to mine. 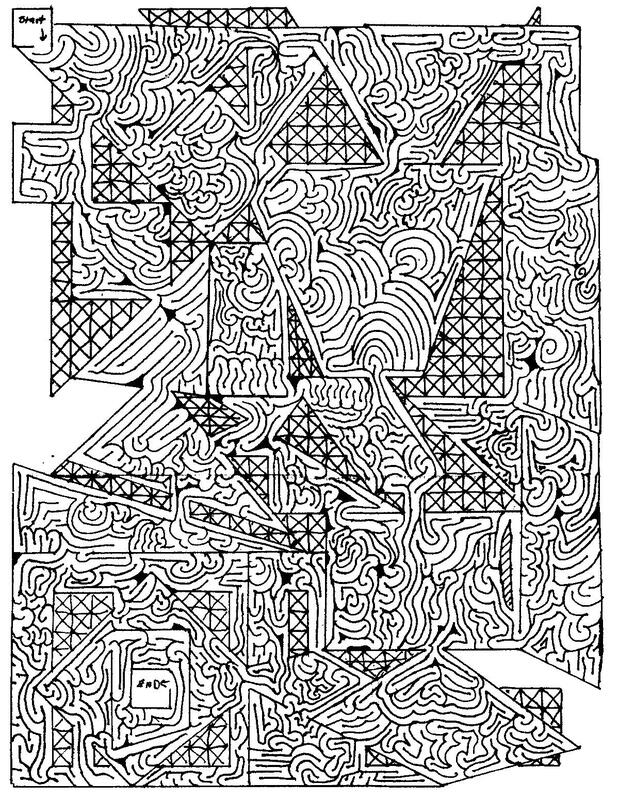 I thought you might get a kick out of some of the ones I drew way-back-when: http://www.weirdly.net/artwork.php?category=mazes.